The memory foam mattress is considered to be one of the healthiest choices for your body after a long day of work. As you may already know, these mattresses are made with temperature-sensitive foam that uses the heat coming for your body to adjust to your natural curves and total weight. A good memory foam mattress should be able to relieve body aches and pains by displacing pressure along your body’s length. Memory foam is also known for its capacity to correct your body posture and provide good spinal alignment which, when left uncorrected, leads to several upper and lower back pains. 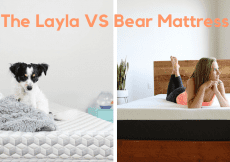 Because memory foam mattresses never seem to go out of style, even with the other materials that have been developed over the past years, today’s face-to-face review is going to focus on some of 2018’s most affordable and solid memory foam models: the Layla and the Nectar mattress. 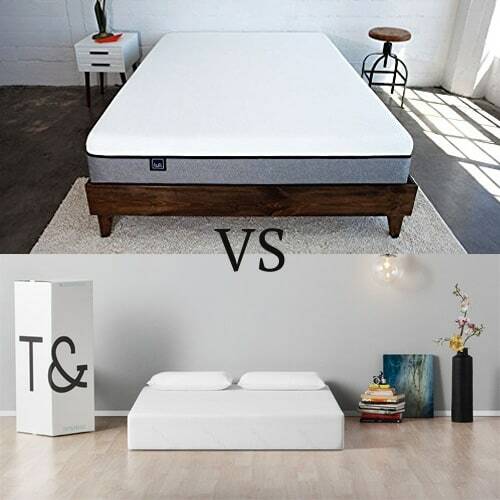 As you’ll come to learn in the following paragraphs, both of these mattresses, while similar in style and end goals, have different constructions that support the body in more ways than one. Before dissecting the Layla mattress, we have to mention that this is a double-sided bed that allows the sleeper to choose between two different levels of firmness, by flipping the mattress to one of the two sides. But we’ll get to that later on. The cover of the Layla mattress has a very nice feel to it. The gel infusion is called ThermoGEL and it was introduced to the mattress to help draw heat away from the body while regulating the temperature for the best comfort of the sleeper. The cubical pattern is pleasant to the eye, but we never get over-excited by the looks of a mattress, since it’s always covered in bed sheets. The cover is made from a combination of polyester, viscose, and lycra, being both elastic and removable for washing. The comfort layer of the Layla mattress features copper-infused memory foam and measures three inches in thickness. When first sitting on the mattress, you will feel the pressure relief provided by this comfort layer. Aside from the comfort, you will also feel how the layer cradles your body, taking the shape of your curves for better support and contouring. Why copper-infused foam, you ask? The main reason why this type of foam was developed is that of its heat absorbing capabilities, making the layers work towards cooling your body. This two-inch layer of convoluted memory foam acts as a transition layer, while also providing the mattress with some support. This convoluted foam follows the classic egg carton shape, which helps facilitate airflow. Again, we come across another layer that aids at solving one of memory foam’s most dreadful issues: keeping the sleeper hot. Now we come across the 4.5-inch layer of support foam. This layer will provide support to the entire mattress, no matter which of the available firmness options you choose to sleep on. Aside from giving the mattress its shape, this is the layers with the quickest pressure response. At the end (or the top, depends on how you flip it) of the mattress lies a one-inch layer of copper-infused memory foam, meant to provide just a little bit of plush for those who choose to sleep on the firm side. Alternatively, this acts as the base layer for the softer side of the mattress. Obviously, the firmness of the mattress depends on the side which you’re sleeping on. The Layla is no ordinary double-sided mattress, as the layers are not mirrored to provide the same firmness on both sides. Instead, there is a plush side and a firmer side. Tests have shown that the soft side of the Layla mattress has a rating of about 5.5, making it ideal for people who like to sleep on the side. Alternatively, you can flip the mattress over to the firmer side, which has a firmness rating of about 6.5 to 7. There aren’t really too many differences in how each side feels as far as firmness is concerned, but the firm side has a bit more support for stomach sleepers, although something ever firmer would be more suitable for them. The feel of a mattress is directly related to its firmness and the Layla is no exception to that rule. When you apply pressure on the softer side of the mattress, you will feel how the memory foam compresses underneath your body. The more pressure you apply, the more you will feel how the surface pushes deeper into the construction, with the memory foam contouring your body. Alternatively, applying pressure on the firm side will provide some contouring, but not as much. You will reach the firm support core a lot faster, as there is no transition layer in the upper part of the firm side. Tests have shown that both sides of the mattress do a good job in isolating motion under the normal pressure the body applies to the bed when switching sides. That’s because each of the two sides benefits from a memory foam comfort layer that does a good job of keeping things in place. While the mattress doesn’t really have elements that support the minimizing of motion transfer (like bouncy latex or responsive innerspring layers), the memory foam construction seems to compensate for the lack of bounciness pretty well. When you come across a mattress that’s made entirely from memory foam, you don’t go in expecting the best edge support. Memory foam is known for body contouring, so most people expect the edges of the bed to easily compress under pressure. With edge support, two things are important: the ability to sleep as close to the edge of the bed and the capacity to sit on the edge of the mattress without sinking in too deep. 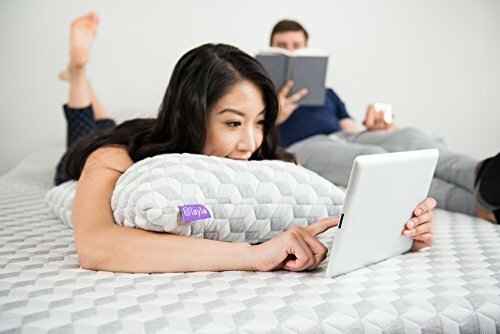 With the Layla mattress, edge support is pretty decent, although you will feel like you’re sliding off if you sit on either of the four corners. The combo of Tencel and cotton makes the cover of the Nectar mattress an eco-friendlier version to some polyester blends we’ve seen so far. 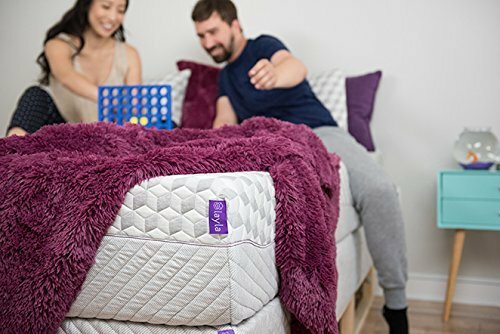 To provide some plush and cushioning, the top layer has been quilter with gel memory foam, making the cover softer and more breathable. Thanks to the memory foam infusion, the top cover will provide comfort no matter which position you prefer. This three-inch layer comes to the rescue when you want to get rid of nasty pressure points. Being one of the most qualitative types of gel memory foam, this particular layer of Lush Foam has an added level of comfort and is often used in the medical field. The gel infusion helps prevent high sleeping temperature, by absorbing heat and cooling the body down. Because it provides that sinking in feeling, this layer is what makes the Nectar mattress suitable for side sleepers. This is yet another construction choice that makes the Nectar mattress stand out of the crowd. Even if it measures a mere half inch in thickness, the adaptive memory foam layer that’s present here is a rarity amongst mattress. This layer is heavy and makes adds to the total shipping cost of the mattress, but it’s a premium choice that adapts to the body’s curves and provides superior pressure point relief. Because of its density, this layer is also quick to respond to pressure and an excellent choice as an inner layer for an all-foam mattress. As always, people of different weights and who prefer different sleeping positions will each have their own particular opinion on how the Nectar mattress feels. As you apply hand pressure on the surface of the mattress, you will feel the interaction with the upper memory foam layers. There is no doubt that the mattress does provide a bit of a plush feeling while contouring the body for much-needed comfort. Even so, the mattress is much rather a medium form one, with a rating that varies between 6 and 7, depending on the aforementioned factors. Lying down in different positions will cause you to feel the mattress differently, because of the pressure point variation that changes each time you toss and turn at night. By lying on your back, you can feel how the memory foam cradles your body, contouring to alleviate pressure points and create a sense of comfort. At first, the top layers of memory foam may feel a bit firm, but you just need to give it some time to adjust to your body’s natural shape. 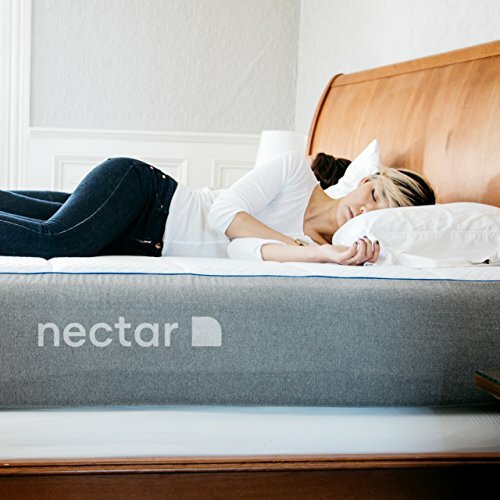 Side sleepers will be pleased to know that the Nectar mattress delivers good support in this position, which is not something we can say for stomach sleepers. 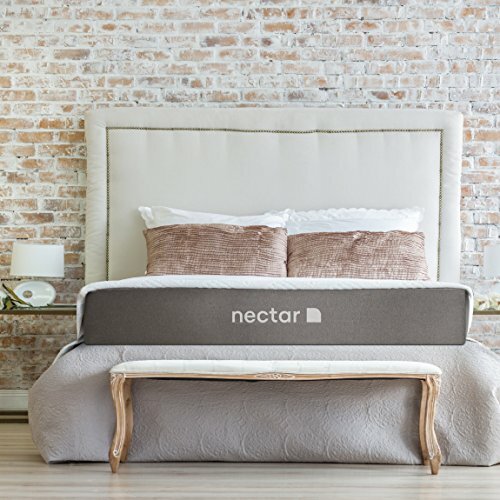 Because of the thickness of the memory foam layers used in its construction, the Nectar mattress will cause your hips to sink into the surface, eventually leading to back pain because of spinal tension. The edge support on the Nectar mattress is not one of best we’ve seen, mainly because of the top layers of memory foam that easily compress under pressure. When rolling over to the side of the bed, the mattress does manage to support your weight, but sometimes, you just might end up feeling like you’re going to roll off the bed. We were very surprised to discover that the Nectar was good for both back and side sleepers. However, all this support seems to have come at a cost: the ability to easily switch positions at night. What’s even more surprising is that even if the top layer sinks in up to a point where movement is not facilitated, motion transfer is kept to a minimum, according to several tests. Memory foam enthusiasts are going to fall in love with how the Layla mattress feels. The fact that the mattress is flippable is just an added bonus for those who just can’t make up their mind in determining which firmness feels right for their needs. Besides, what would happen if you suffered an injury and needed to rest a firmer mattress than the one you usually sleep on? Well, the Layla is basically offering you an additional firmness choice without having to spend money on a new mattress. The copper-infused memory foam contributes to both the cooling properties of the mattress, as well as the pressure relief factor. 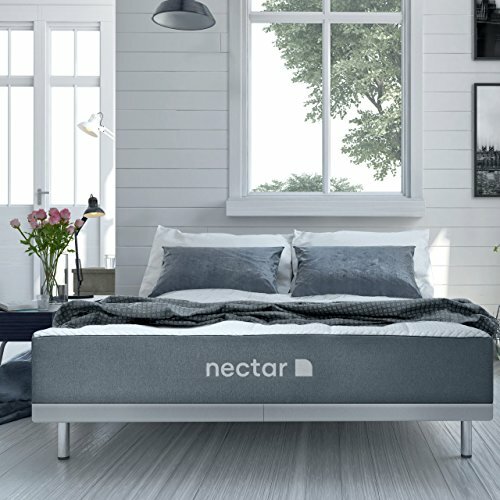 The Nectar mattress is the perfect choice for people who long for that memory foam feel. 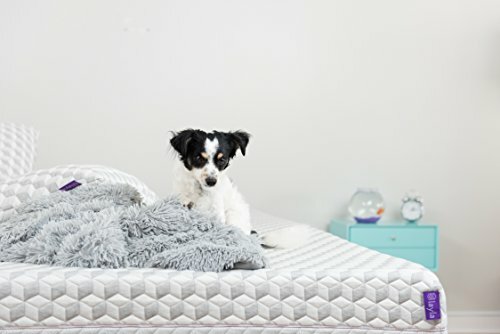 The mattress combines intelligent foam layers for the consistent and comforting support that every sleeper expects from an all-foam mattress. We were delighted to see that the mattress provides an equal amount of pressure relief for both back and side sleepers, as a medium firm mattress generally favors one of these positions over the other. The Nectar also does a really good job in keeping motion transfer to a minimum, as to prevent the movements of one partner from disturbing the other. However, this is not a mattress for stomach sleepers or for people who are looking to get a little bit of bounce out of their mattress (hence the difficulty in switching positions). 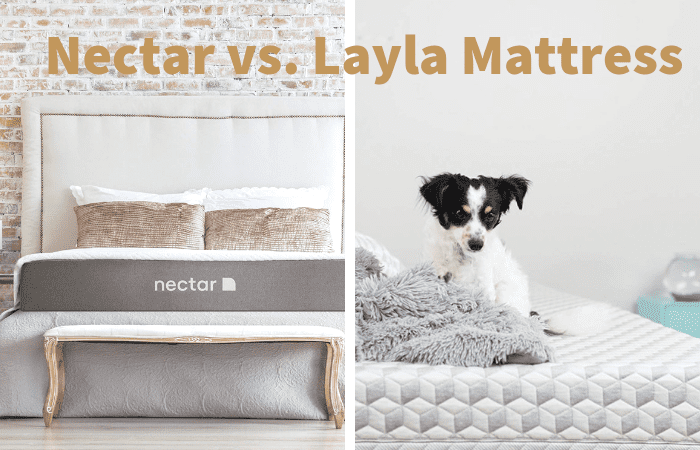 Both the Layla and the Nectar mattress are a haven for memory foam lovers. They combine cooling technology and pressure relief constructions that are meant to embrace the body to the best comfort of the sleepers. But even if they both fall under the same price range and are made entirely from foam, there are differences that set the Layla and the Nectar apart. Whichever mattress you choose, you benefit from a generous trial period that will allow you to either adjust to the mattress or send it back for a refund. 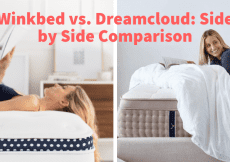 Winkbeds vs. Dreamcloud: Which is the Best Hybrid Mattress? 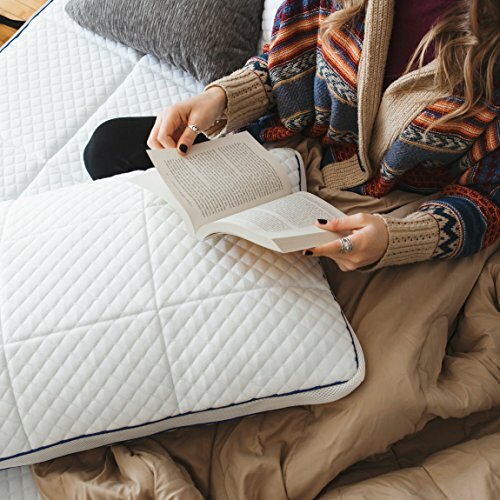 The Dreamcloud Mattresses Review - Is it Worth the Hype? Two Mattresses to Love: The Lull vs Tuft and Needle, Which is Better in 2018?